Home > KPMG > HR Transformation: Which lens are you using? 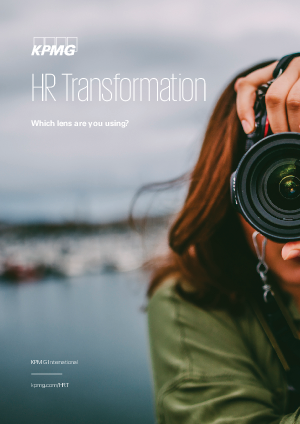 HR Transformation: Which lens are you using? Drive change or be changed. KPMG’s 2017 HR Transformation Survey reveals organizations divided into two camps: one half ‘enlightened’ and boldly engaged on strategic HR transformation, the other half ‘unenlightened’ and faltering amid uncertainty as the digital era redefines the world around them and dramatically rewrites the rules for success. View now.